Sometime April/May last year, I’ve bought a hope 20five rs4 wheel through a local bike shop in Croydon, where I used to live at the time. I did some miles on it, have done LEL and other audaxes, loved the wheel, etc! I put the same wheel on the new Cube bike I’ve bought for TCRNo6 and did some miles, without any issues. 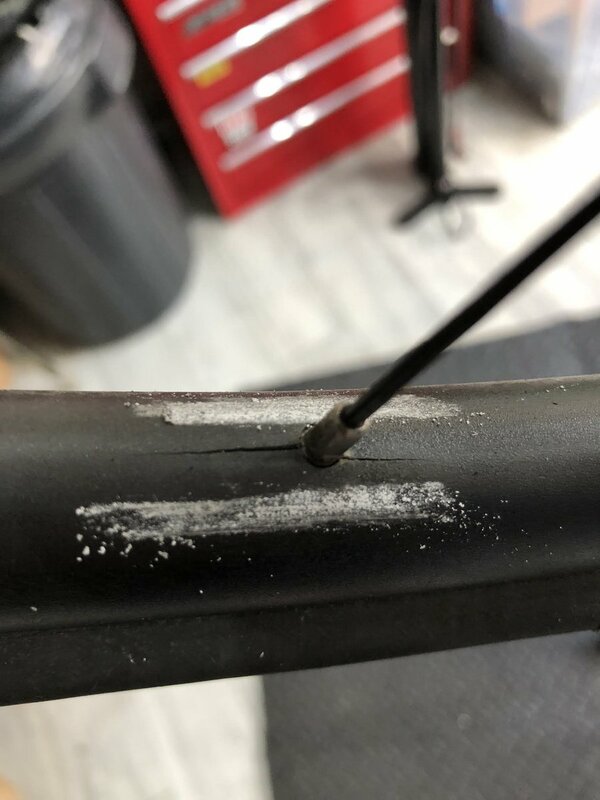 Fast forward to a few days ago, I bought my bike in for a service in a local bike shop, and got a call from the mechanic asking me If I knew about the 6 cracks in the rear wheel rim! Gotten in touch with hope the next day and they kindly offered me to send the wheel back, so they could inspect/replace the rim. Alternatively, they could send me a replacement rim to the bike shop and they could do it if they agreed to it, but i’d pay the fees for rebuilding the wheel. All of this has happened 6 days before the transcontinental race…All bike shops are booked out, no one even wanted to see the wheel! and hope are not able to turn it around so fast. Having said all of that, SPA cycles agreed to build me wheel, but on centerlock hub, which would require an adaptor to 6bolt disc! I have chosen to buy a newly built wheel, which would fit exactly as the old wheel has fitted. It is a hope wheel, so I am giving them another hope! Hopefully, they’ll fix the old wheel without a fuss when I’ll get back.